Home Health Adenoiditis: Overview, Symptoms…. The body, the throat to be specific, has masses of tissues called adenoids. These tissues have a lymphatic function. As lymphatic tissues, they assist the body in ensuring that infections are far away from body tissues. That they assist in keeping infections away from body tissues doesn’t automatically immune them to infections. 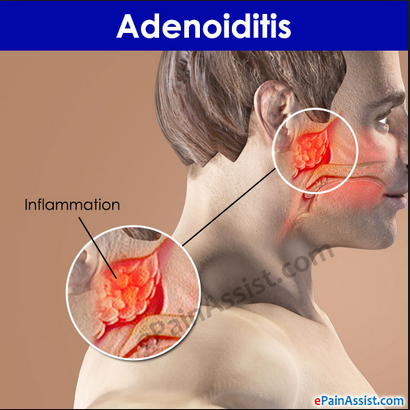 As a matter of fact, in adenoiditis, they are already inflamed tissues due to an infection! Because of this, their closest neighbor, tonsils, become susceptible to being inflamed, too. Tonsils are also lymphatic tissues. They hence are a part of the lymphatic system. Adenoids are storage sites for antibodies and white blood cells. These antibodies and white blood cells are responsible for the adenoids’ task of keeping the body safe from germs like virus and bacteria. Adenoiditis usually begins as a little swelling of the adenoids that will eventually block the airways. Blockage to the airways will make nasal breathing to become difficult. When you speak, it will seem as though it were from your nose. Disease-causing agents borne in the air e.g. bacteria, viruses etc. An otolaryngologist, that is, an ear, nose, and throat (ENT) doctor, will be involved in the diagnosis. He will examine you to check where the infection is. He will use an X-ray test, blood test and swab test to achieve this. A sample of your saliva will be collected for the swab test. He will also take your family history to see that it is not a family ‘thing’. 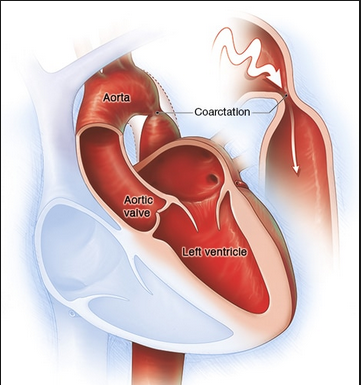 A number of complications can arise from this disorder. Organs in the head region will be grossly affected if the condition is very severe. Since your adenoids are close to the Eustachian tubes in the middle ears, they may be affected. The more severe the inflammation is, the more the likelihood of the tubes being blocked. Blocked tubes make hearing difficult. Mucus can build up in the middle ear and block it. The sinus can be inflamed, too. Facial bones have sinuses that are hollow-like. They surround the eyes. They can be filled with fluid. Pneumonia and bronchitis are likely to be developed because the throat is close to the lungs and bronchioles. Antibiotics will be fine when this disorder is caused by a bacterium. Those caused by a virus will also be treated with medications suited for it. When this disorder doesn’t respond to antibiotics treatment, it will leave the doctor with a second option – a surgery. Also, when you keep having recurrent infections, cancer, tumors, difficulty breathing or swallowing, you will be considered for a surgery. It is easier for adenoiditis caused by a bacterial infection to respond to antibiotics. On the other hand, that caused by a virus can go away without treatment. It will only take about 2-3 weeks. Eating healthy meals is no negotiation. Ensure your body is hydrated all the time. Sleep when necessary. Practice good hygiene. It will help you lower your possibility of having this disorder. If your child has symptoms of adenoiditis or problems with their throat, seek the advice of their pediatrician.